INSIDE MESSAGE: "Kiss me baby my lips are dry. Happy Valentine's Day!" Alternate Inside Message: "I've fallen for you hook, line and sinker. 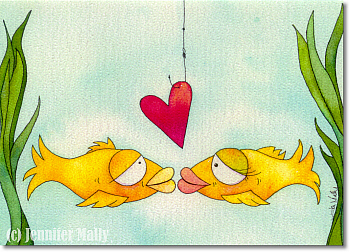 Happy Valentine's Day!"